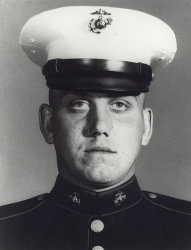 Private First Class Dewayne Thomas Williams (18 September 1949 - 18 September 1968) was a U.S. Marine who was posthumously awarded the Medal of Honor for heroism during the Vietnam War. Dewayne Thomas Williams was born on 18 September 1949 in Brown City, MI. 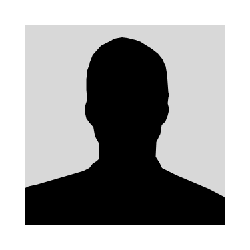 He attended Bell Elementary School, St. Clair Elementary, Intermediate, and High Schools at in St. Clair, MI, and Capac High School, in Capac, MI. On 18 December 1967, Williams enlisted in the U.S. Marine Corps Reserve, and was discharged to enlist in the active U.S. Marine Corps on 2 January 1968. He completed recruit training with the 3rd Recruit Training Battalion, Marine Corps Recruit Depot San Diego in March 1968; individual combat training with Company Y, 3rd Battalion, 2nd Infantry Training Regiment, Marine Corps Base Camp Pendleton, in April; and weapons training with Weapons Company, Basic Infantry Training Battalion, 2nd Infantry Training Regiment at Camp Pendleton, in May 1968. Williams was promoted to Private First Class on 1 June 1968. Upon his arrival in the Republic of Vietnam later that month, he was assigned duty as automatic rifleman with Company I, 3rd Battalion, 27th Marines, 1st Marine Division, and served in this capacity until August 1968. He was then assigned duty as anti-tank assault man with Company H, 2nd Battalion 1st Marines. On 18 September 1968, his 19th birthday, he was killed in action while on patrol in Quang Nam Province. 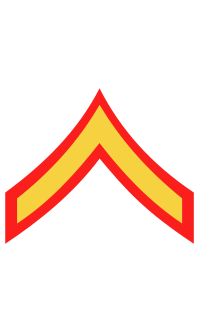 Rank and organization: Private First Class, U.S. Marine Corps, Company H, 2d Battalion, 1st Marines, 1st Marine Division. Place and date: Quang Nam Province, Republic of Vietnam, 18 September 1968. Entered service at: Saint Clair, MI. Born: 18 September 1949, Brown City, MI. Citation: For conspicuous gallantry and intrepidity at the risk of his life above and beyond the call of duty while serving as a rifleman with the 1st Platoon, Company H, in action against communist insurgent forces. Pfc. Williams was a member of a combat patrol sent out from the platoon with the mission of establishing positions in the company's area of operations, from which it could intercept and destroy enemy sniper teams operating in the area. In the night as the patrol was preparing to move from its daylight position to a preselected night position, it was attacked from ambush by a squad of enemy using small arms and hand grenades. Although severely wounded in the back by the close intense fire, Pfc. Williams, recognizing the danger to the patrol, immediately began to crawl forward toward a good firing position. While he was moving under the continuing intense fire, he heard one of the members of the patrol sound the alert that an enemy grenade had landed in their position. Reacting instantly to the alert, he saw that the grenade had landed close to where he was lying and without hesitation, in a valiant act of heroism, rolled on top of the grenade as it exploded, absorbing the full and tremendous impact of the explosion with his body. Through his extraordinary initiative and inspiring valor in the face of certain death, he saved the other members of his patrol from serious injury and possible loss of life, and enabled them to successfully defeat the attackers and hold their position until assistance arrived. His personal heroism and devotion to duty upheld the highest traditions of the Marine Corps and the U.S. Naval Service. He gallantly gave his life for his country. The name Dewayne Thomas Williams is inscribed on Panel 43W - Line 25. • The Military Sealift Command maritime Prepositioning ship, USNS PFC Dewayne T. Williams (T-AK-3009), is named in his honor. • The portion of Interstate 69 beginning at the eastern city limit of the city of Lapeer, MI, and extending east to the western city limit of the city of Port Huron, MI, is known as the "DeWayne T. Williams Memorial Highway." Private First Class Dewayne Thomas Williams was killed in action on 18 September 1968; his 19th birthday. He is buried at Saint Mary's Cemetery in Saint Clair, Michigan.